Silicon Valley’s online tech giants are under pressure, and not just from Russia investigators. This time it is the people who pay the bills: the advertisers who are asking serious questions about whether their products were sold alongside covert Russian propaganda. Just as airlines pull their ads during coverage of air crashes, advertisers have long had strict rules about the placement of their brands. But the evolution of the automated digital ad business, including that of Facebook, Twitter and Google, has led to some distasteful situations for advertisers, including the placement of hundreds of their banner ads — including those for politicians — atop jihadi videos on YouTube. That debacle has led advertisers to be especially sensitive to what they call the issue of “brand safety,” the effort to make sure their commercials appear next to quality content. This month, under intense scrutiny from legislators, Facebook handed to Congress 3,000 ads linked to Russian meddling in the 2016 presidential election, admitting it had received upward of $100,000 in ad spending. The ads deliberately tried to exploit the racial and religious divisions in the United States, investigators said. Google has also found that Russians bought ads on its platforms to influence the election, The Washington Post reported Monday. Facebook said it will place 1,000 staff members on a team to review ads and soup up its machine-learning abilities to address the problem. But the revelations are dragging the company and other online firms into a huge and potentially costly embarrassment. No companies have pulled their ads from Facebook yet, at least not publicly, but executives say the sentiment is turning negative. That could have substantial implications for the company's bottom line, which is almost entirely dependent on ad revenue. One high-level business strategist, Michael Kassan, chief executive of Medialink, which advises tech companies and large media conglomerates, said that chief marketing officers at big companies fear that their bosses will ask them what is adjacent to their ads. Kassan thinks the Russia investigation is still too new for marketers to figure out how it affects them. Nonetheless, there is still a clear reluctance in the advertising world to publicly criticize Facebook and Google. The nervousness is not just because of the Russia inquiry. Brian Wieser, an analyst with Pivotal Research, recently found that the company claimed to reach an audience of 41 million people in the U.S. ages 18 to 24, though only 31 million of them exist, according to the Census Bureau. Facebook said the problem may have been caused by kids pretending to be older, and said it does not bill advertisers on the basis of those estimates. Last month, ProPublica, the investigative news site, revealed that Facebook advertisers were able to use self-serve tools to target “Jew haters.” The company’s chief operating officer, Sheryl Sandberg, acknowledged the failure. “We never intended or anticipated this functionality being used this way – and that is on us,” she said in a company statement. A few days later, Mark Zuckerberg, Facebook’s chief executive, admitted that he was wrong to dismiss fake news on the social network as having had any influence on the election. “Calling that crazy was dismissive and I regret it,” he said in a statement. Facebook and Google: The "Digital Duopoly"
Facebook is the second-biggest player in the digital ad market after Google. Both companies are set to grow their share of the ad pie. Together they are often known as the “digital duopoly,” with the kind of global scale other media companies can only dream of. Facebook has 2 billion monthly users. YouTube, owned by Google, has 1.5 billion. And the financials are staggering by any measure. This year, Google (including YouTube) will garner $35 billion in total digital ad dollars in the U.S., up 18.9 percent from last year, according to eMarketer, a measurement firm. That expansion will push Google’s share of the U.S. digital ad market to 42.2 percent. The firm forecasts Facebook’s total digital revenues in the U.S. will grow 40.4 percent to $17.37 billion, pushing its share of all U.S. digital ad business to 20.9 percent. Still, Alphabet’s Google — is facing its own YouTube drama with advertisers around the globe. One ad executive, who did not want to be identified because of business relationships with the online companies, said that a recent test run of ads on YouTube found they were placed adjacent to content that didn’t meet the firm’s requirements 30 percent of the time. After the Las Vegas shooting last week, for example, false conspiracy theories wound up high on YouTube’s search results, as reported in the Wall Street Journal. YouTube said it would tweak its search results to show more reliable sources of news. Some of YouTube’s largest advertisers in 2016 dropped their spending by 95 percent or more, according to Pathmatics, a company that tracks online advertising, and measured desktop ad spending. The company says AT&T notably reduced spending on YouTube by 76 percent over the year before (January through August). Disney spent less than $200,000 from April to August after spending more than $1 million in January, the data showed. Overall, however, Pathmatics said that spending on desktop YouTube was up 31 percent for the period January through August versus the same period last year. 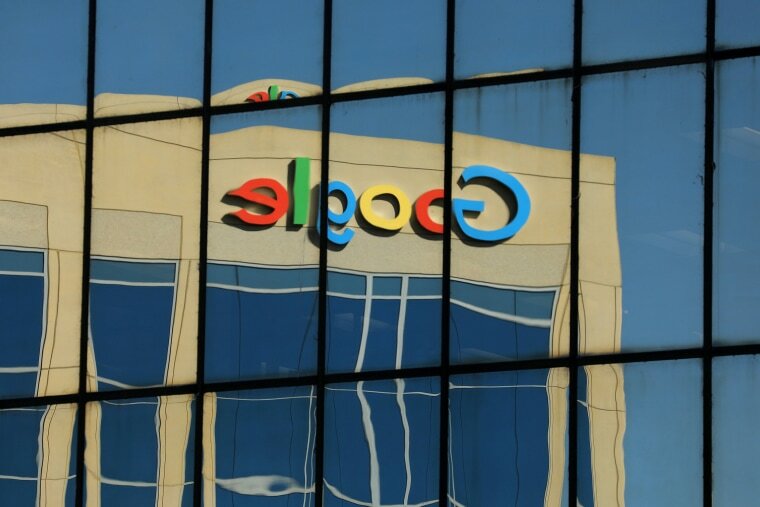 In August, Google said it would refund advertisers for ads placed on dodgy websites with fraudulent traffic counts, according to a Wall Street Journal report. Proctor & Gamble, the packaged-goods giant, cut more than $100 million in digital spending beginning in March, the company’s chief brand officer, Marc Pritchard, said in a speech in Orlando, Florida, on Thursday. “There is no question ads should ever be on an ISIS video,” Pritchard said. Martin Sorrell, chief executive of the WPP Group, an advertising holding company whose agencies spend billions of ad dollars around the globe, said the pressure on Facebook is going to intensify. He said he has urged Facebook for some time to acknowledge that it is not just a platform. Randall Rothenberg, president and chief executive of the Interactive Advertising Bureau, which represents Google, Facebook and other big content companies and advertising firms, said there’s an industry-wide effort to fix a host of issues, from fraud to cybersecurity to fake news. “What has changed over the past three to four months, thanks in no small part to the Mueller investigation and the dribbling of information from various parties, is a broader understanding from multiple constituents that these things are all connected,” he said, referring to Robert Mueller, the special counsel investigating Russian meddling in last year’s election.